I have been on a journey of discovery to learn what principles and parameters define a “good” book. Good, as in that which is worthy to read ourselves, and to give to our children to read. Good, as in, “of a favorable character or tendency; suitable; fit; agreeable; pleasant; wholesome; well-founded, cogent, and true; honorable; choice, discriminating; virtuous, right, and commendable,” according to Webster’s. However, is that God’s definition of goodness? There is a just, perfect, and complete standard of goodness which God has defined for us – but what is it? There are virtuous books, but which are contrived and as dry as dust. Is that all there is to goodness? There are books which seem to violate standards of holiness, but which capture the heart and imagination. Is that all there is to goodness? 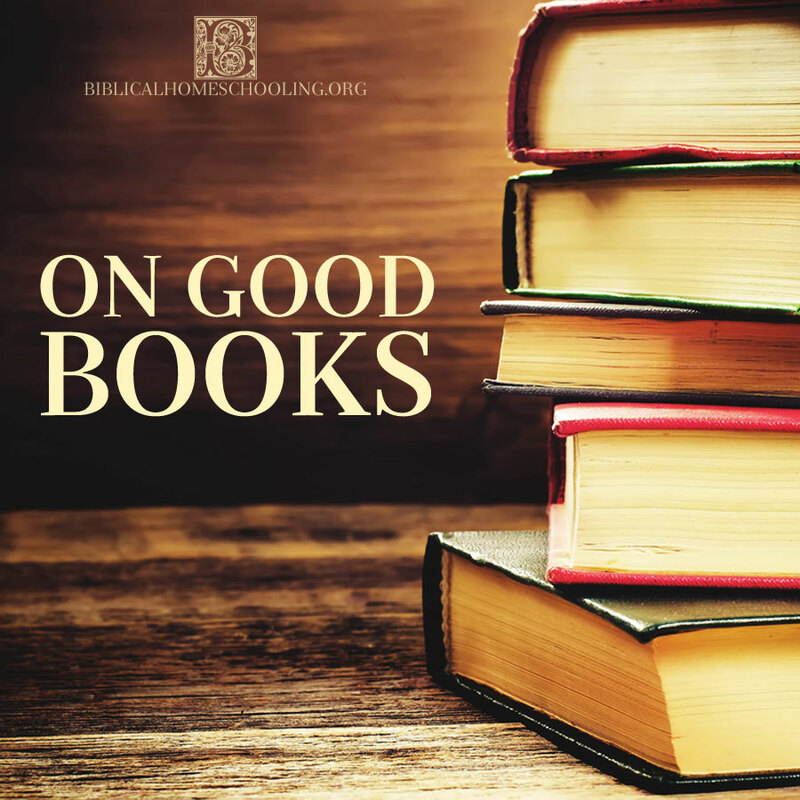 There are books that have been on the good books lists for thousands of years. Is that enough to define them as good? Looking forward to reading your thoughts! This is something we have struggled with in our family and have gone back and forth on. Thank you for visiting today and for your kind words Laurie!